Samsung GALAXY Note series refers to Android smart phones which come from the Samsung GALAXY series and includes smart phones with large screens and S Pens as well as tablets with the S Pen technology. As we all know, Samsung GALAXY Note series are very popular, having been receiving warm welcomes .Thus everyone is looking forward to a remarkable Samsung GALAXY Note 3. It is rumored that Samsung's next super-sized handset, suggesting it's going to get bigger than ever. 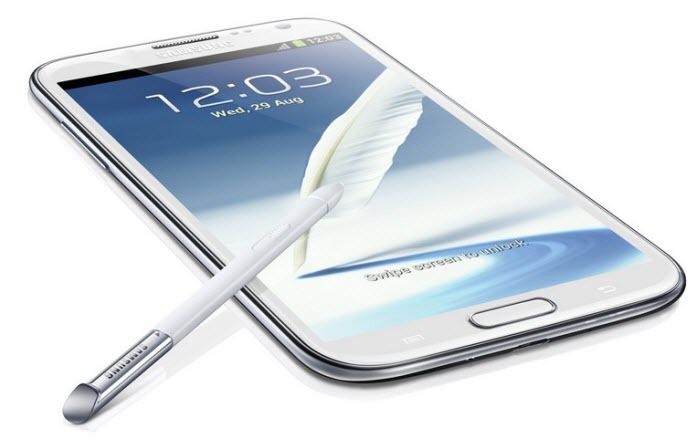 Samsung executive J.K. Shin has confirmed the existence of the Galaxy Note 3, revealing it will feature a non-flexible 5.9-inch OLED display. And according to recent news, Samsung Galaxy Note 3 will be unveiled at the IFA 2013 show in Berlin. Most manufacturers are focusing on making their devices smaller and slimmer, while for Samsung, it’s the other way around. Some sources claim it could have an even bigger 6.3in screen. The oversized screen will apparently also have a 1080p (1,920 x 1,080) resolution, the Korea Times reports. Many people were hoping the Samsung Galaxy S4 would see the Korean company change its way when it came to chassis construction – designing a metal body like HTC One, but this wasn't the truth. Now rumors are suggesting the Galaxy Note 3 could well sport a hard alloy case. If true, how do you like it? The Note 3 will probably set you back at least £550 (around $800/AU$770) give or take, plus there will be regional variances too.